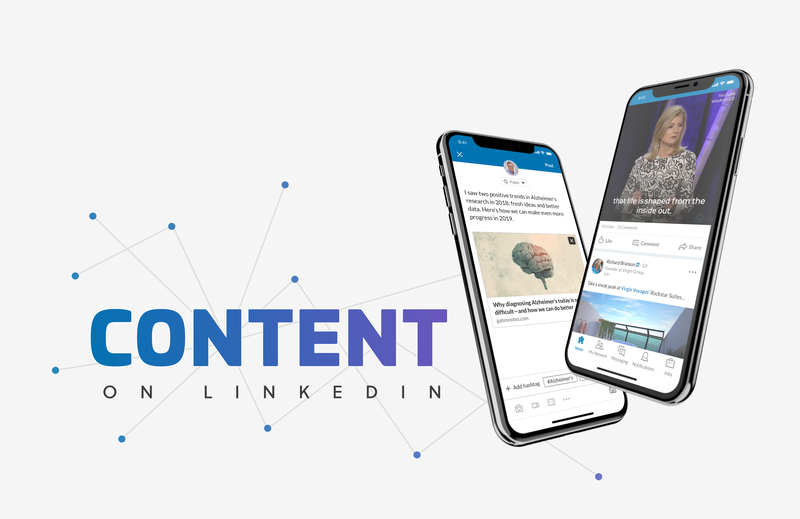 After launching the publishing platform and the Pulse app, member sentiment pointed towards integrating the content experience fully into LinkedIn. I transitioned to lead the redesign of homepage and feed on desktop and built out the foundations of the content ecosystem on LinkedIn. A recent company-wide shift to prioritize mobile products had left LinkedIn's desktop site outdated and inconsistent. Not only were we in dire need of a visual refresh, a period of hypergrowth had also resulted in building products in silos, making it nearly impossible to leverage components across the ecosystem and scale. Desktop and mobile screens from the previous LinkedIn experience. Due to the large-scale nature of this effort and an aggressive timeline, we adopted a unique approach to ensure we were partnering effectively both across teams and functions, while making user-centered design decisions each step of the way. Life in the war room: stop motion video captured by one of our teammates. We adopted an "embrace and extend" principle when scaling up from mobile to desktop. This video shows how mobile scales to 2 and 3 column layouts on web. I partnered with engineering to design and build a modular design system for feed posts. These design guidelines enable other teams to quickly introduce new types of content into feed. 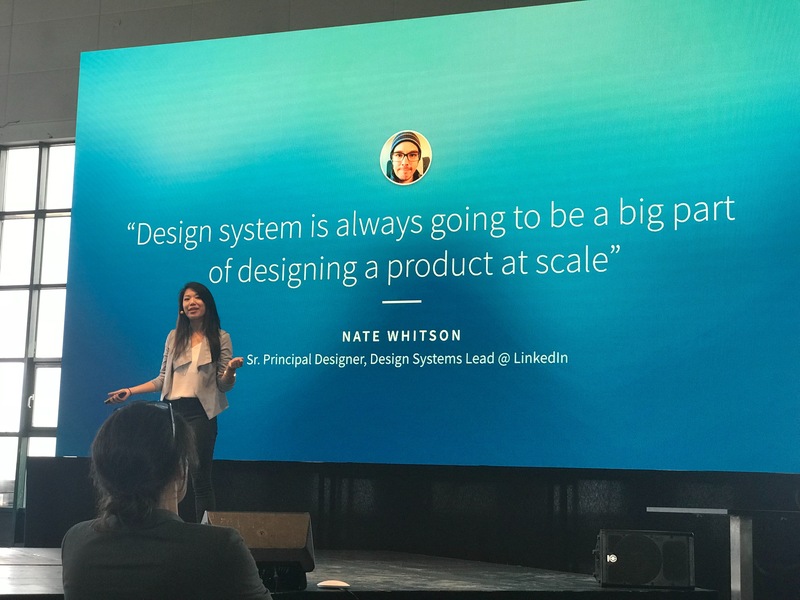 In the span of a year, we laid the groundwork for LinkedIn’s new desktop platform, establishing a new design system for a growing user base and ultimately making it easier for designers and developers to design, build and iterate much faster. 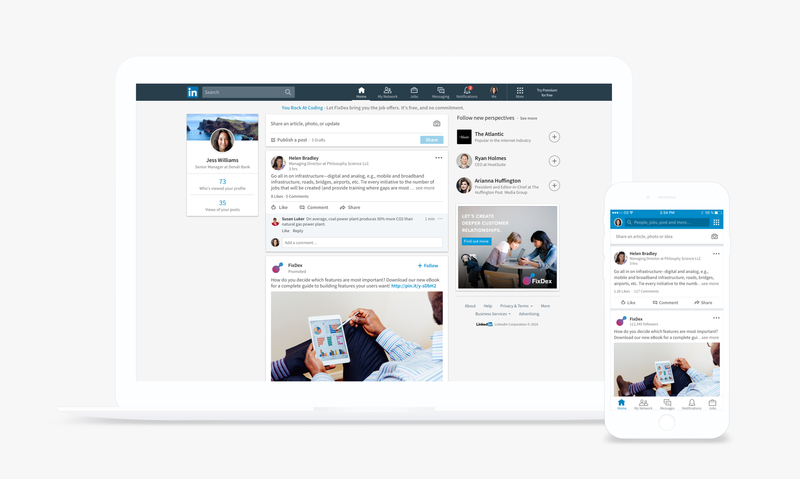 LinkedIn's new desktop platform brought parity with the mobile redesign. I had the opportunity to share our work and process at Design Matters 2017 in Copenhagen with one of my design partners, Maria Iu. Here's a link to the full talk.